One of the things that I have always admired most about O. mykiss is how adaptable and resilient they are. The rainbow trout, in both its resident and anadromous forms, evolved to take advantage of the most abundant habitats for their different life history stages as well as the genetic and phenotypic plasticity to be able to roll with the punches that are inherent to dynamic stream and river ecosystems. Such “punches” can include phenomena like landslides blocking a stream, a shrinking refuge pool in the late summer months, extreme winter or spring flows, and poor ocean conditions. But the diverse life histories of O. mykiss enable them to thrive across a wide spectrum of habitat conditions and the broadest geographic range of any salmonid. To me, this is one of the reasons why the listing of many Distinct Population Segments (DPS) of steelhead in my home state of California is alarming, and why I and many others are committed to bringing them back to abundance. However, given their perfect tuning to the diverse habitats where they evolved, these unique and mysterious fish have not responded to restoration efforts the way we would expect. 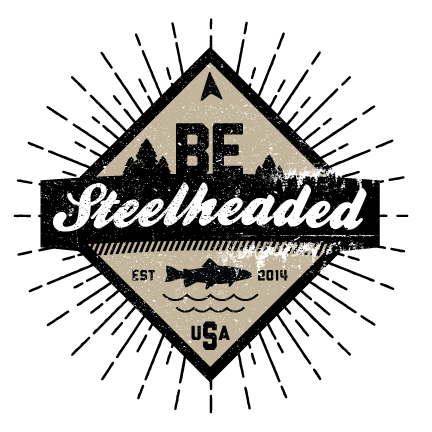 Even with millions of dollars spent on restoration and hatchery supplementation programs across multiple states over the past several decades, many populations of steelhead are still in decline. In the face of uncertain responses to restoration actions — such as rescue and release efforts or rescue and hatchery rearing — what do we do to support healthy, robust, and diverse steelhead populations? The purpose of this post is not to answer this question definitively, but to explore the potential ramifications of action or non-action, and to summarize some of the science that can inform this question. “Fish Rescues” are a common practice in some areas and involve removing fish from drying streams in order to move them to habitats or raceways where they will be able to survive the summer (fish rescues are also performed on smaller scales before some intensive instream projects such as habitat restoration, culvert replacement, etc.). There is no simple answer to the question of what role rescue and release or rescue and hatchery rearing efforts can or should play in successfully restoring an anadromous O. mykiss population. 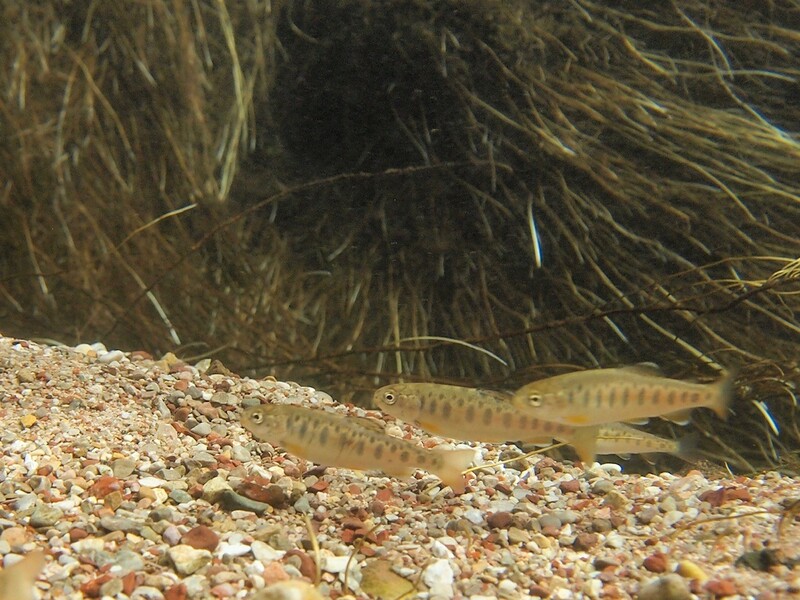 However, the rescue and captive rearing of juvenile steelhead that has occurred on the Carmel River since 1989 provides an excellent case study (Arriaz et al., 2017). The Carmel River flows from the coastal mountains of central California and drains into the Pacific Ocean. Historically, this system supported the largest anadromous steelhead run in the chaparral ecosystems of this region, but increasing development in the watershed caused habitat degradation and the population declined an estimated 75% by 1975. Trout Unlimited’s Sam Davidson recently mused on his (and others’) happy response to seeing a single (huge!) steelhead from a bridge over the river. Over the past four decades, many improvements have been made to the Carmel River from the lagoon to the headwaters, including the removal of the lower of two dams in the upper watershed (San Clemente Dam) in the largest dam removal project yet in California. 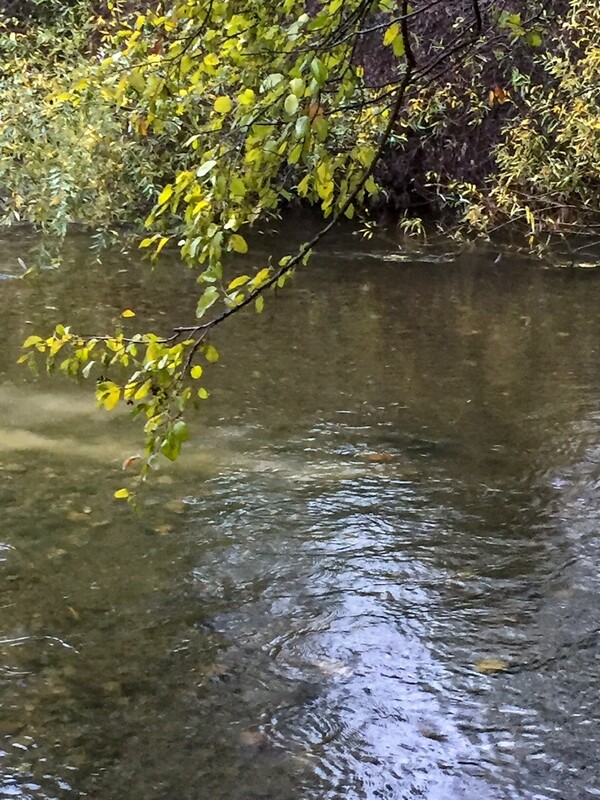 These efforts, surely, have helped keep Carmel River steelhead from extirpation, and local steelhead angler-advocates have played a significant role in advancing these efforts and conserving fishing opportunity (albeit highly limited) on this river. However, these restoration efforts still have not been able to restore a healthy steelhead population — the number of adult returns in the Carmel continues to decline (Arriaz et al., 2017). In addition, since 2005 most returning adult steelhead were captively-reared as juveniles after being rescued from seasonally dewatered channels. While there are likely numerous factors influencing the population decline, one might assume that after over two decades of both habitat restoration and rescue, relocation and captive rearing of large numbers of juvenile steelhead (some years saw translocation of 20,000 or more), these resilient fish would have been able to come back with a vengeance. With such high numbers of translocated fish, why are most returning adults those that were raised (typically for six to eight months) in the rearing facility, where their ability to engage in wild forage or stay under cover to hide from predators is highly limited? Analyses of adult counts and juvenile datasets done by Arriaz et al. (2017) suggest that complicated interactions between size, smolting, and ocean survival might hint at the cause behind the continued population decline and a heavy favoring of captive-reared fish in the system. Using data that described wild fish, captively-reared fish, and translocated fish, researchers sought to determine if size-conditional smolting was the answer to depressed adult returns. Size-conditional smolting assumes that juveniles only go through the physiological smolting process (transform their bodies for survival in salt water) if they exceed a certain threshold size. This is relevant because the increased number of fish in the system caused by rescue and translocation efforts increases the number and, presumably, density of fish in the already reduced habitat available as summer refugia. These higher numbers of fish must compete for a limited amount of available food and habitat, and as a result they are likely all a bit smaller than fish that would have survived naturally in those habitats (without being rescued and moved from somewhere else) would have been. As a result, some might have to wait longer before smolting because it takes them longer to reach the size threshold. At the same time, the rescue and captive rearing program provides unlimited food, so all fish in the rearing facility are able to grow at a faster rate than their wild-reared counterparts and are able to smolt more quickly. Once fish reach the ocean, larger smolts have higher rates of survival (Bond et al., 2008; Ward et al., 1989). Thus, in addition to a higher number of captive-reared smolts due to limiting wild vs. abundant captive habitats, captive reared smolts are also larger and thus more likely to survive in the ocean than wild-reared fish. This may explain why so many adult returns in the Carmel are now thought to be captive-reared. These fish have wild genetics and adults are able to choose their mates, which is an incredibly important difference from traditional hatchery programs and has much less deleterious impacts. However, this process also disrupts natural selection and evolution because the fish that would have naturally died from dryback or too-warm water conditions artificially survive. This lack of adaptive selection further mismatches the fish to their changing habitat and increases their dependence on human interference. Arriaz et al. (2017) did not find strictly conclusive evidence that this is why juvenile growth rates of wild-reared O. mykiss have been decreasing and most adult returns are captive-reared. However, this research does highlight the complicated interactions and unintended consequences of a restoration program. The authors suggest that focusing on increasing food availability in the river and its tributaries would be the best way to support a healthy, self-sustaining O. mykiss population and reduce the influence of captive-reared fish. The factors influencing steelhead abundance in the Carmel River might not occur in all systems, meaning a different restoration strategy including rescue, relocation, and a captive-rearing program might be appropriate and truly helpful in the long-term. For example, in watersheds where there are very few wild fish (think 20 juveniles total) and where habitat quality is poor, perhaps a conservatively designed and well-studied captive-rearing program might keep the local population from extirpation in the short term while habitat improvements are made. In this situation, the low density of fish (less competition for food, greater ability to school together to avoid predation) might enable wild fish to achieve higher rates of size-conditional smolting. 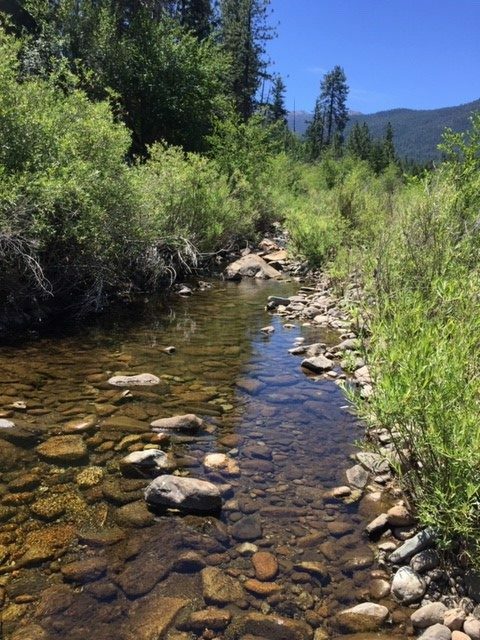 When fish numbers are so low, it is most likely that the limiting factor to a healthy O. mykiss population is the habitat, so the focus should be on habitat improvements that increase flow and connectivity, improve water quality and temperature, and revegetate riparian areas. A short-term (i.e. 5-10 years) rescue and release and/or rescue and hatchery rearing program might be helpful to the genetic diversity of this population by keeping their numbers higher than they would be without human interference. O. mykiss are powerful, resilient survivors. In many instances, human intervention in their natural processes, even in a changing landscape like we are currently experiencing, can have unintended negative consequences. In some instances, short term rescue and captive-rearing programs that help wild-bred fish survive might buoy a population through a particularly critical time. However, restoration and conservation efforts that focus on habitat quantity, quality, connectivity, natural flows, and food availability in the long-term is always a sure-fire way to help at-risk steelhead populations and to keep alive this symbol of hope and inspiration, in the Carmel River and beyond. Bond MH, Hayes SA, Hanson CV, MacFarlane RB. Marine survival of steelhead (Oncorhynchus mykiss) enhanced by a seasonally closed estuary. Can J Fish Aquat Sci. 2008; 65(10):2242–52. https:// doi.org/10.1139/f08-131 PubMed PMID: WOS:000260168000016. Ward BR, Slaney PA, Facchin AR, Land RW. Size-biased survival in steelhead trout (Oncorhynchus mykiss)—Back-calculated lengths from adults scales compared to migrating smolts at the Keogh River, British Columbia. Can J Fish Aquat Sci. 1989; 46(11):1853–8. PubMed PMID: ISI:A1989CA35700003.